Ideal for USB sticks, card readers, keyboards, mice etc. 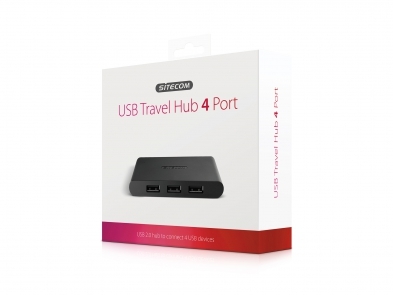 The CN-080 USB 2.0 Travel Hub 4 Port from Sitecom lets you add extra USB 2.0 ports to your MacBook, Chromebook, Ultrabook or regular notebook to connect all your USB devices. The USB 2.0 Travel Hub 4 Port works without an external power adapter which makes it the ideal travel companion. Connect up to four USB devices while you’re on trains, planes or in the car and don’t have access to wall socket. The CN-080 USB 2.0 Travel Hub 4 Port is ideal for USB devices with a lower power consumption such as USB sticks, USB card readers, Bluetooth keyboards and mice. It supports USB 2.0 transfer rates of up 480 Mbps per port and is also backward compatible with older USB standards. 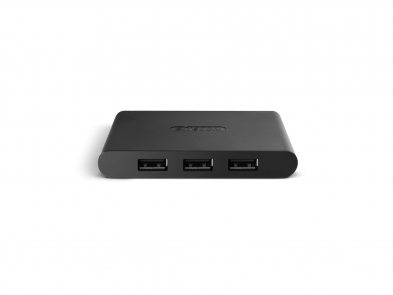 The CN-080 USB 2.0 Travel Hub 4 Port is fully Plug & Play out of the box. Simply connect the hub with the included 60 cm USB 2.0 cable to a free USB 2.0 port of your MacBook, Chromebook, Ultrabook or regular notebook, no drivers needed. The hub is compatible with all operating systems.